Michael B. Jordan wore a harness over his suit while attending the 2019 SAG Awards. The pink-and-purple harness was emblazoned with the Louis Vuitton monogram, and worn over a blue, double-breasted suit. 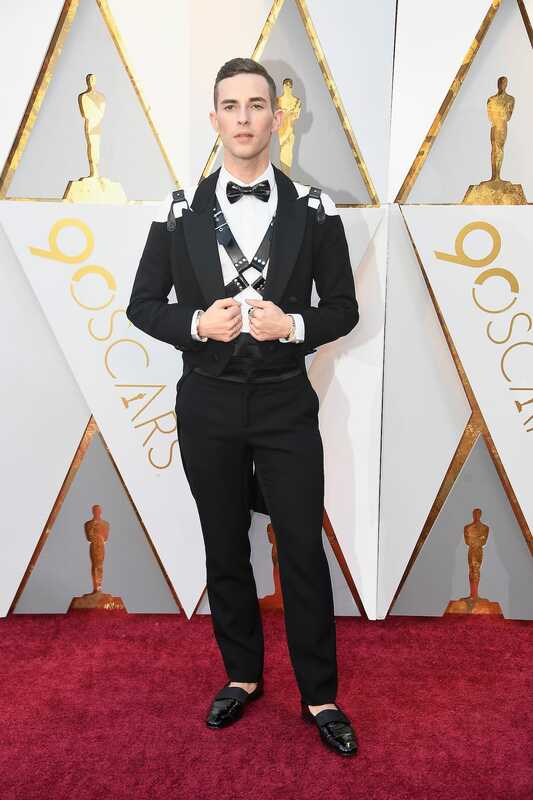 The actor’s look put a unique spin on a growing Hollywood fashion trend, which has been previously worn by actor Timothée Chalamet and Olympian Adam Rippon. Actors typically don a classic suit while walking the SAG Awards red carpet, but that doesn’t always have to be the case. On Sunday, Michael B. Jordan became the latest actor to take a major fashion risk on the red carpet by wearing a floral harness over his suit. The pink-and-purple accessory crossed his chest, and stood out against his more traditional double-breasted suit. The harness was also emblazoned with the Louis Vuitton monogram, adding a touch of luxury to his ensemble. On January 6, actor Timothée Chalamet wore a similar accessory while attending the 76th annual Golden Globes Awards. His harness was also designed by Louis Vuitton, but featured black sparkles in place of a bright print. It’s clear that the style is turning into a red-carpet trend, so chances are you’ll see another celebrity wearing a harness in the name of fashion soon.